Despod's photo and comment blog. 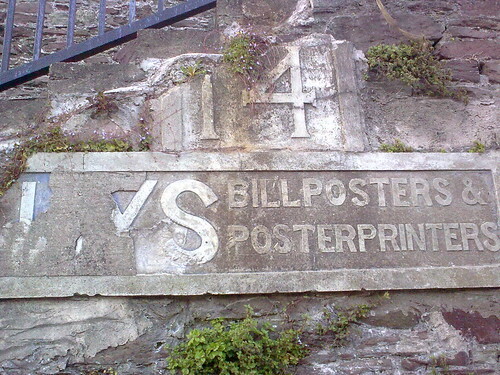 : Post No Bills. Posted by Des at 4/01/2009 07:59:00 p.m.
Donncha O Caoimh 4/03/2009 12:12:00 p.m.
Ha! I took a photo of that on Patrick's Day as I walked back to the car. Should be posting it next week hopefully! I wonder what the name of the Company was ? Cork is a small place at times - I think we've posted similar images on other occasions.